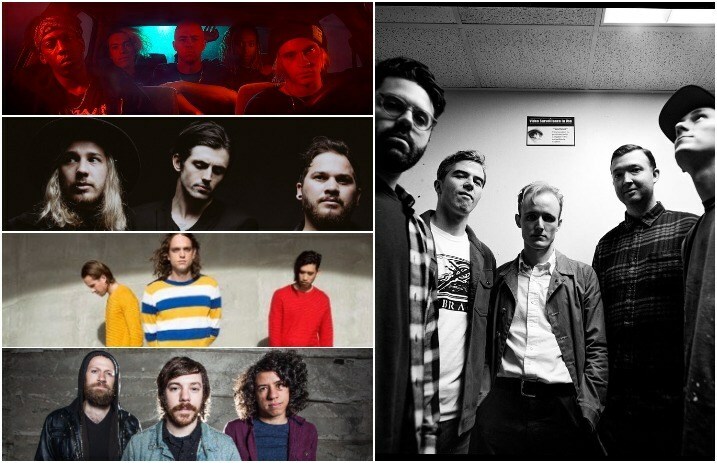 Watch new music videos from L.I.F.T, Sir Sly and more—plus, don’t miss the Obsessives on tour. Check out the news you might have missed today below! 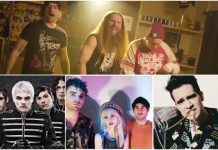 L.I.F.T (Love In Future Times) shared a music video for their song “Locked Up.” The band are currently signed to Pete Wentz’s DCD2 Records/PhotoFinish. Raleigh-based rockers Alesana have released a video stream for their song “The Coward.” The song is taken from the band’s new EP, The Lost Chapters, out now. You can get your copy here. The Obsessives announced a spring tour with Nervous Dater. You can check out a full list of dates below! Sir Sly shared a in-studio version of their song “&Run.” The track is taken from the band’s sophomore album, Don't You Worry, Honey. You can snag you copy of the album here. The band are also hitting the road next month. For a full list of dates and to purchase tickets, you can go here. Alt-rock trio Royal Coda have dropped their new song “Cut Me Under.” The song is taken from the band’s forthcoming self-titled album. The album is set to be released on April 27, and you can get your copy here. Modern Maps have announced their signing with Rise Records. The band also dropped a music video for their song “Nightfall.” The track is taken from their debut album, Hope You’re Happy, out June 1. You can get your copy here. SayWeCanFly’s Braden Barrie launched a crowdfunding campaign in support of his two full-length albums Limitless and Beautiful Mess. He will also be hitting the road later this year. For a list of dates and to purchase tickets, you can go here. Fiddlehead (ex-Have Heart, Basement and more) have shared their new song “USMA.” The track is taken from the band's forthcoming album, Springtime and Blind, out April 13. You can get your copy of the album here.